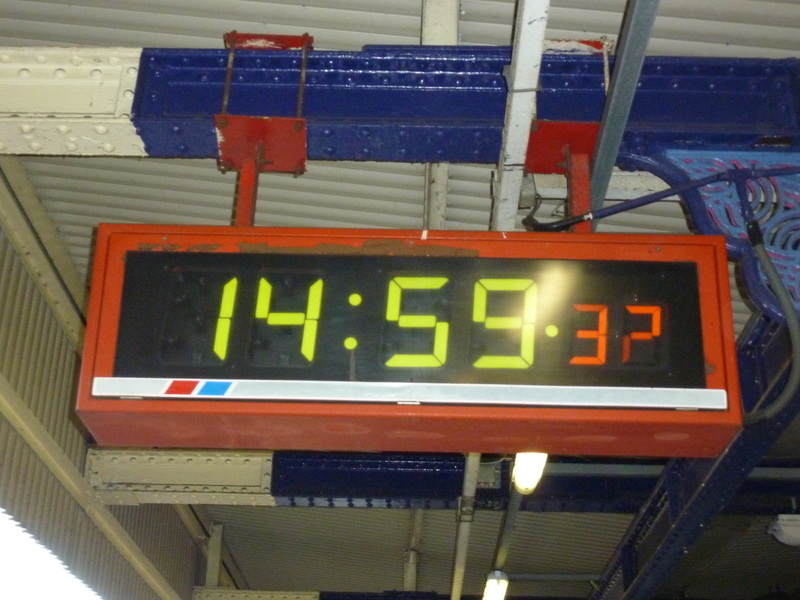 The Network SouthEast clock appeared at every NSE branded station. 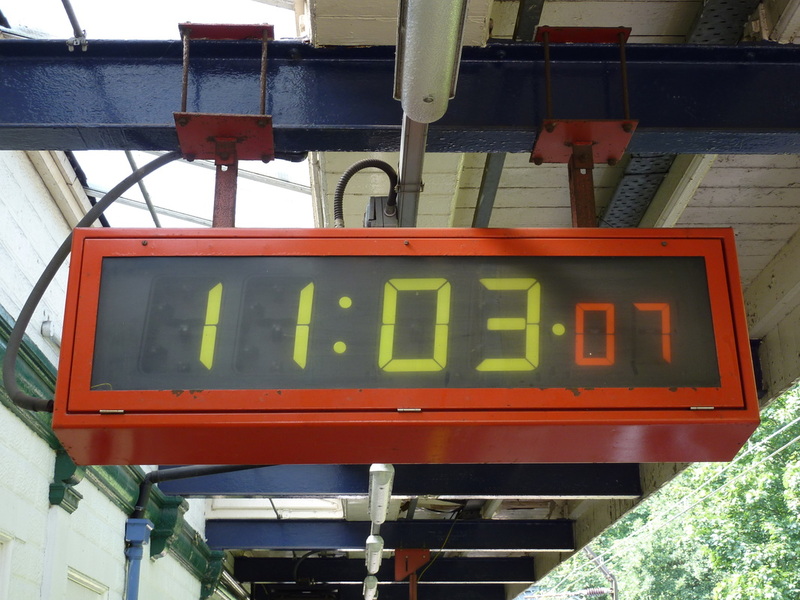 ​The distinctive 'CLICK CLACK' sound could be heard on the platforms, as it kept passengers informed of the time of day. 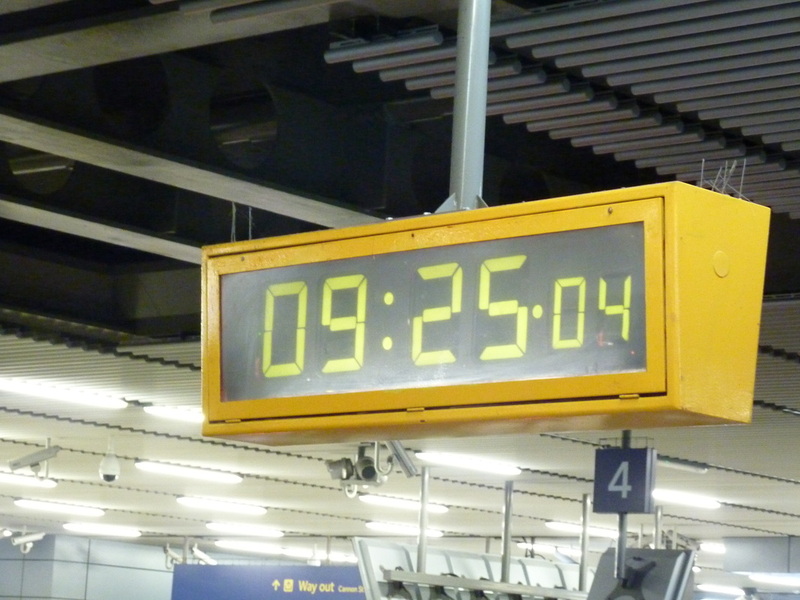 Smaller versions, minus the second units were also installed in waiting rooms and booking halls at stations. 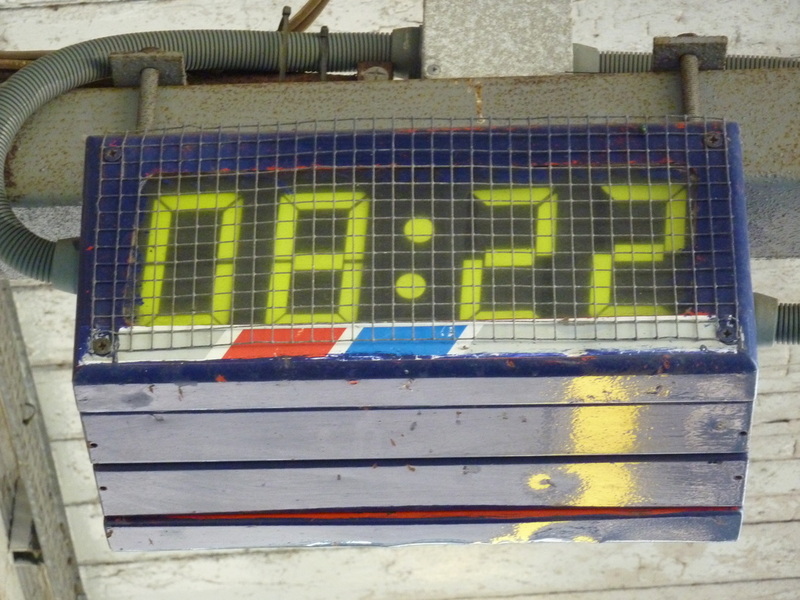 The clock still survives in 2017 at a few stations across the former NSE network. the booking hall at this Surrey Station in October 2016.
after the NSE period. 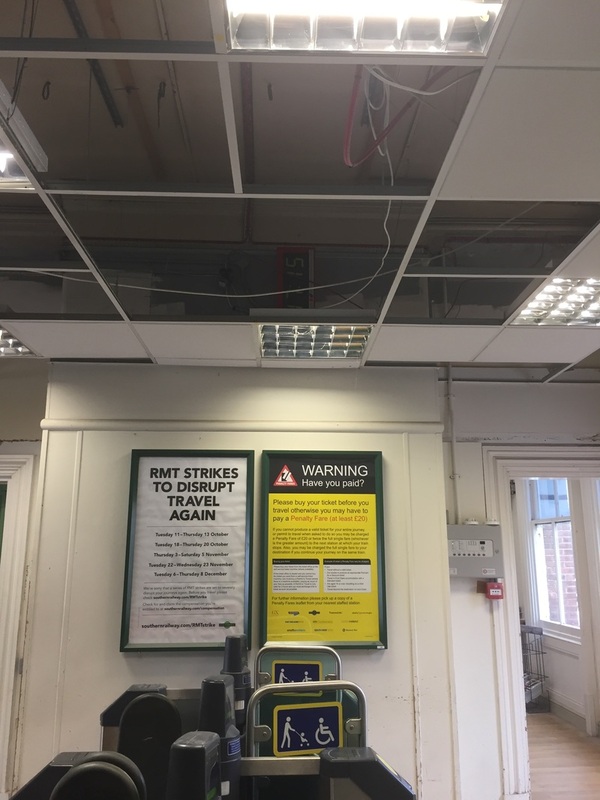 It has only been revealed due to the removal of the ceiling tiles on the ticket barrier line. 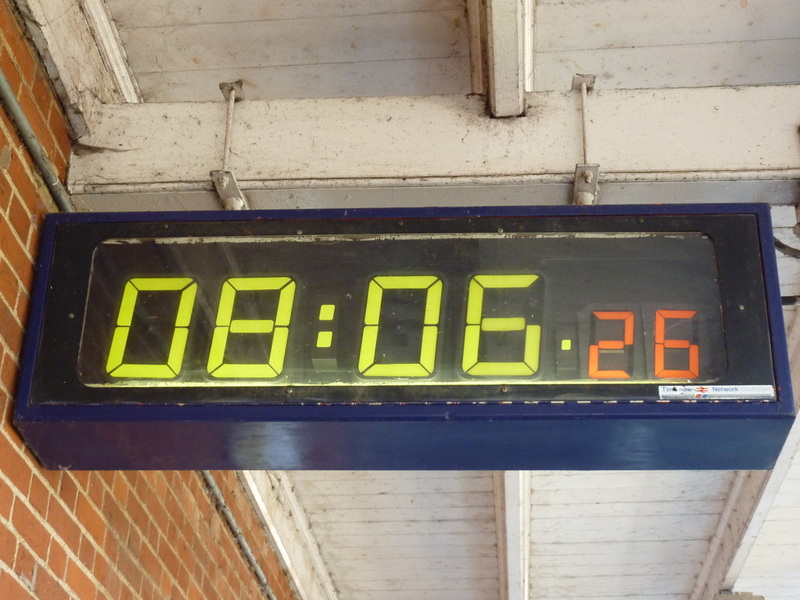 NSE CLock at Leatherhead Station. Information & photographs kindly supplied by Ryan Pannell. I wondered how many NSE relics are still hidden away ? 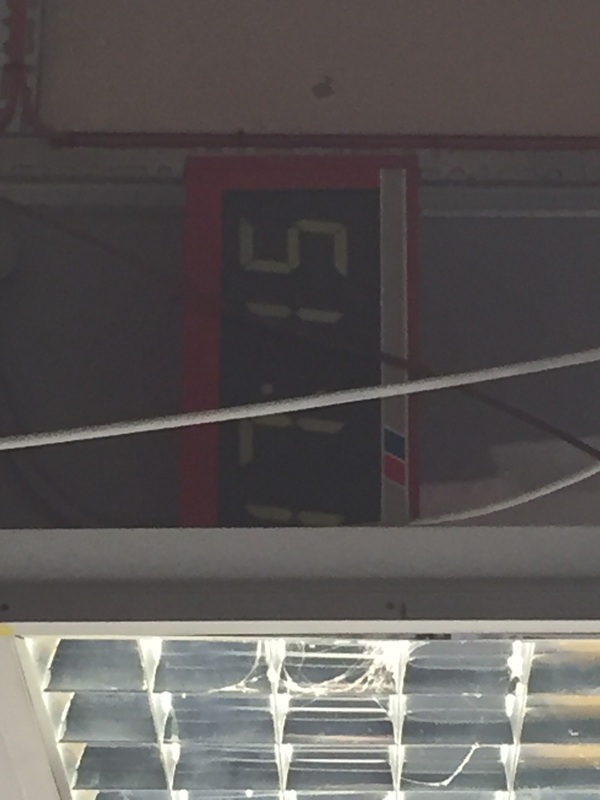 Network SouthEast Clock in action !! Thank you to John Piper for the kind use of his video. 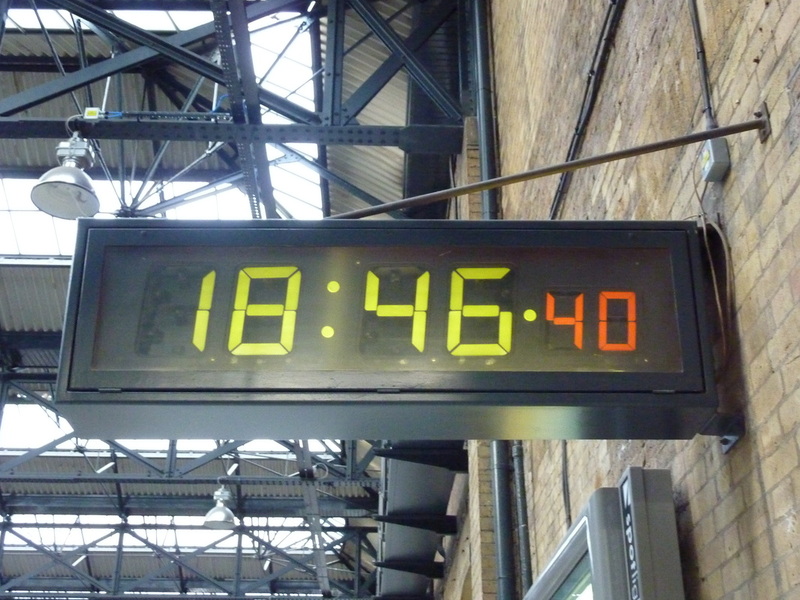 The 'Click Clack' clock can still be seen and heard across the former 'Network SouthEast' network in various locations. Here is a few examples, although in recent years, due to station upgrades some have lost their 'RED paintwork & NSE flash', but are still ticking away 30 years on ! Further details of these clocks can be found in the 'SURVIVORS'﻿ section. You have IFrames turned off; go here to view.